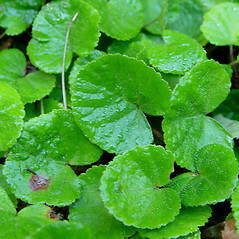 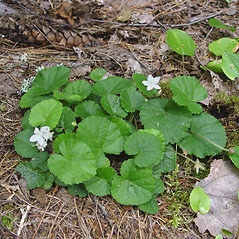 Dewdrop inhabits swamps and moist woodlands in northeastern North America. 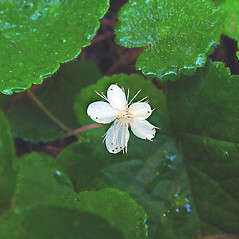 It has both typical (chasmogamous) flowers, which are often sterile (fail to set seed), as well as self-fertile (cleistogamous) flowers that do not open, and are held below the leaves. 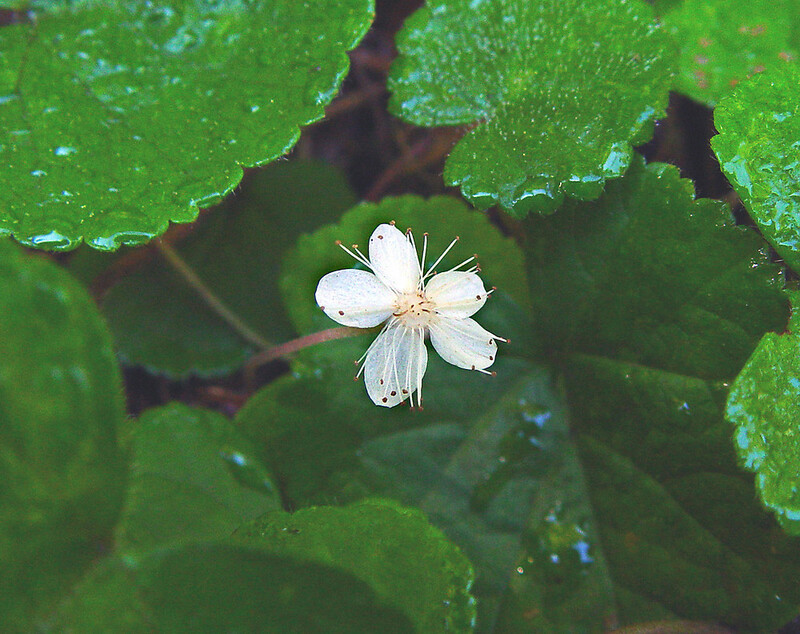 dewdrop. 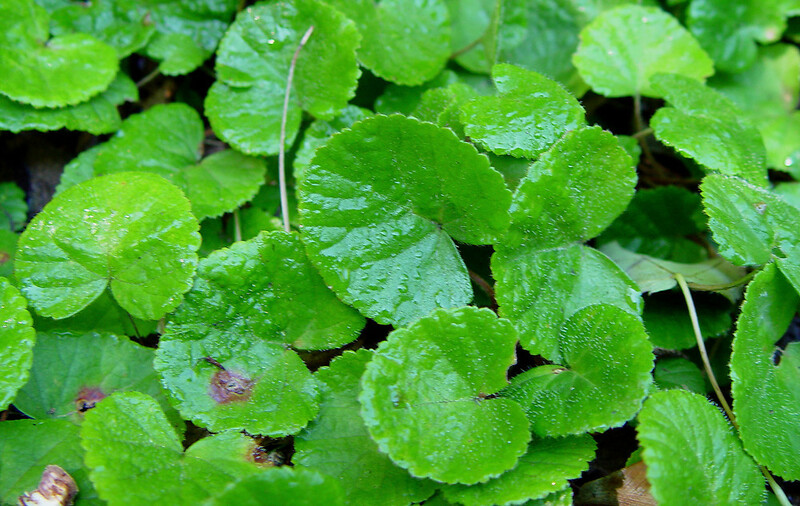 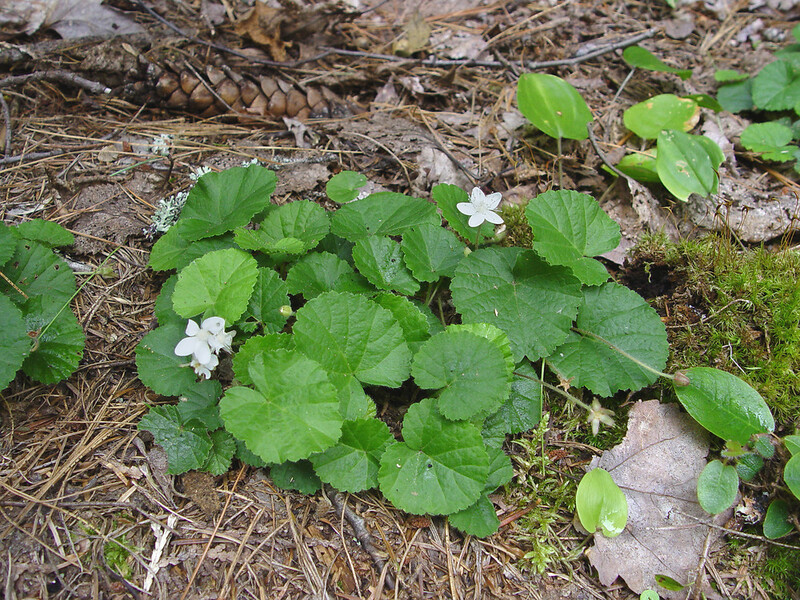 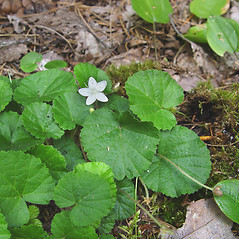 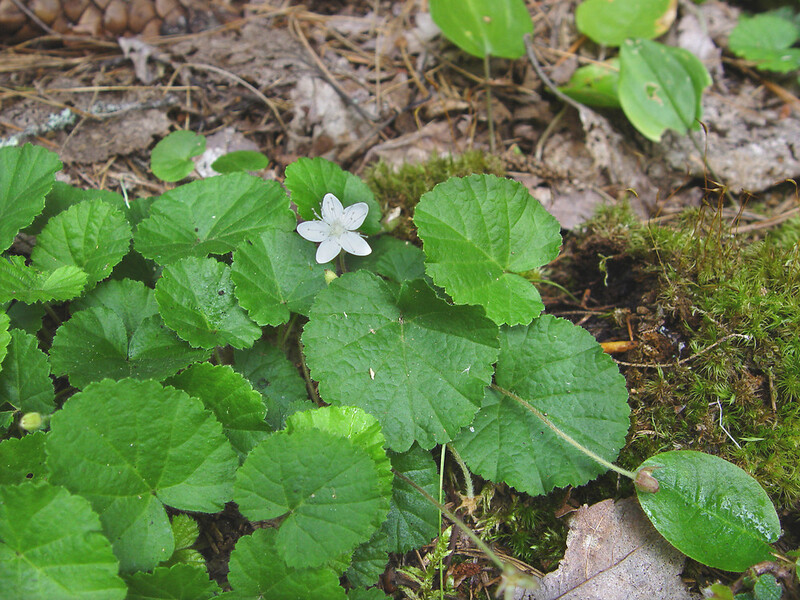 Dalibarda repens L.; Rubus repens (L.) Kuntze • CT, MA, ME, NH, RI, VT. Deciduous to evergreen forests, swamps.